At a time of weak aluminium prices, variables in power input costs are playing a keyrole in determining which smelters are most at risk of closure. Could the current downturn result in the permanent closure of some smelting capacity located in regions where competitive power contracts are a thing of the distant past? 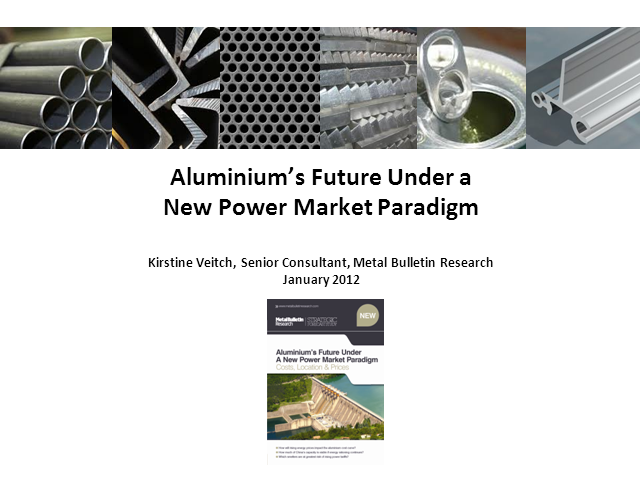 The webcast will provide an overview of our recently released Aluminium Under a New Power Paradigm report. We will address just how exposed the world's aluminium producers are at current metal and power prices. We also take a look into the future, and discuss how power price trends will determine where future smelting capacity will be located and the implications that this will have on aluminium production costs and long run metal prices.